Situated on the water at the entrance to the Broads Haven Marina in Potter Heigham. Bittern is a modern two storey cottage with open plan kitchen/diner. 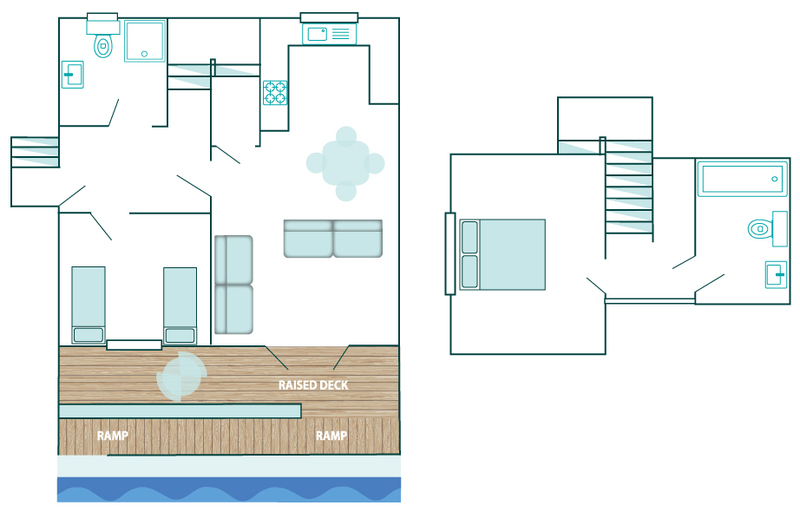 Lounge with TV/DVD player and patio doors opening onto an enclosed private deck. The upper floor has a master bedroom with double bed and family bathroom with bath/shower. A second twin bedroom with separate shower room is conveniently located on the ground floor.